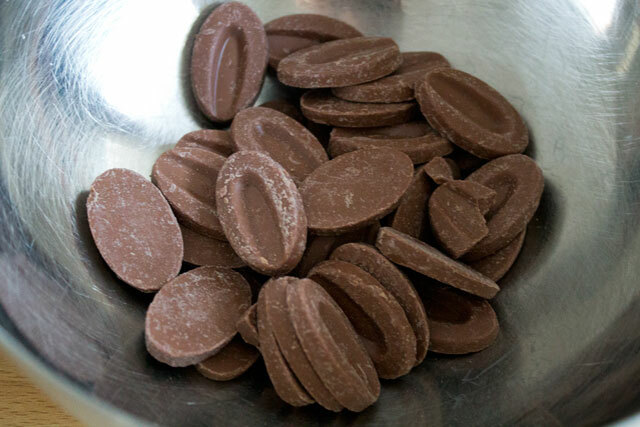 These are for all the Bounty lovers out there! 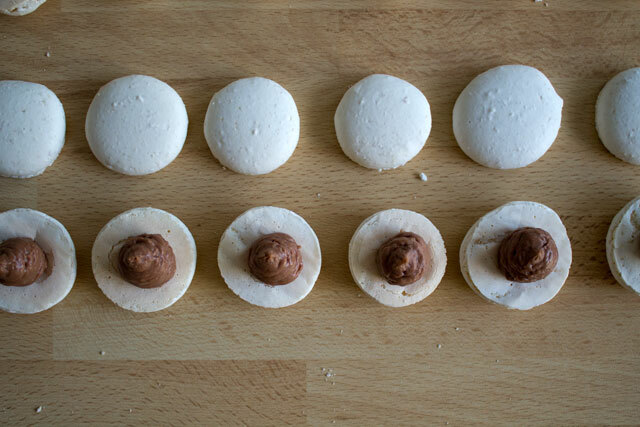 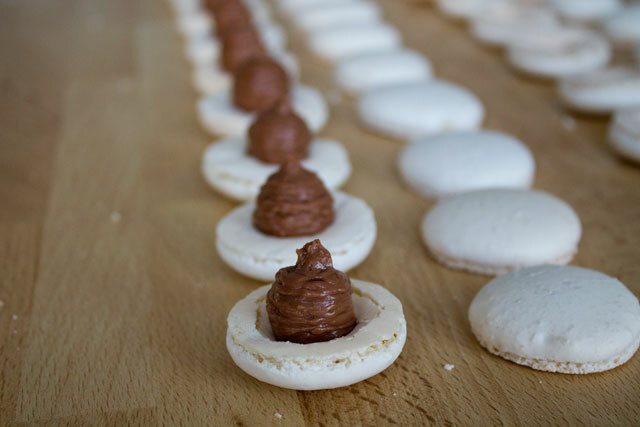 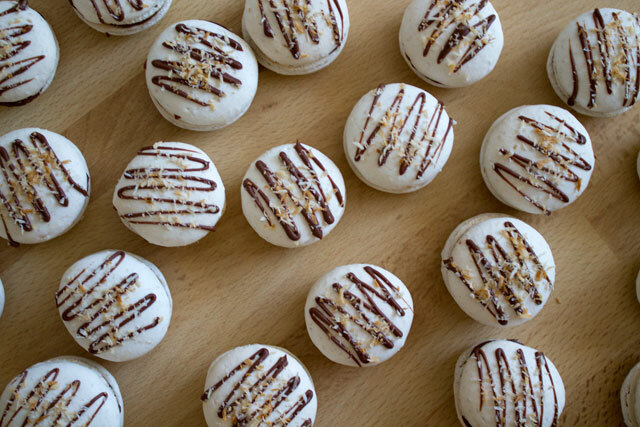 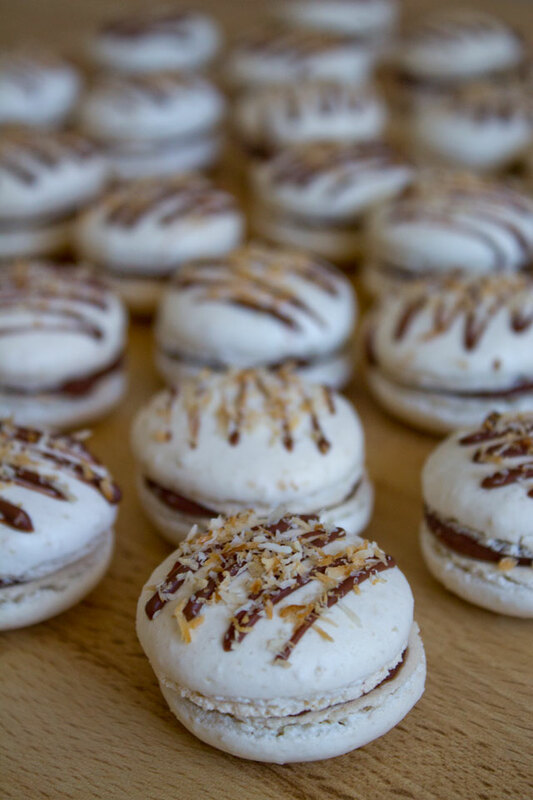 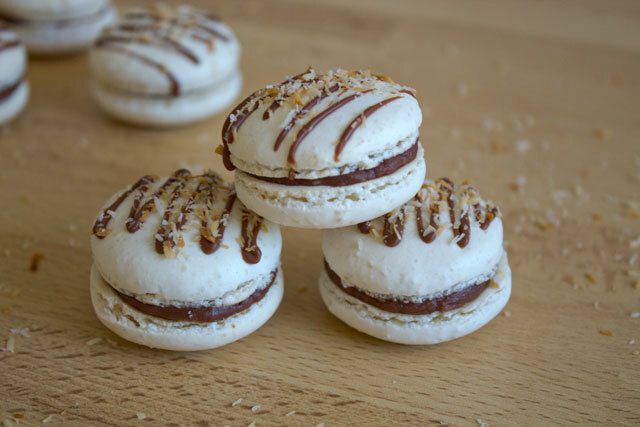 As you know, Bounty is a famous snack with milk chocolate and coconut: it is a great combination of flavours and that’s why World Champion Christophe Michalak tried to recreate it with macarons and so here is his recipe. 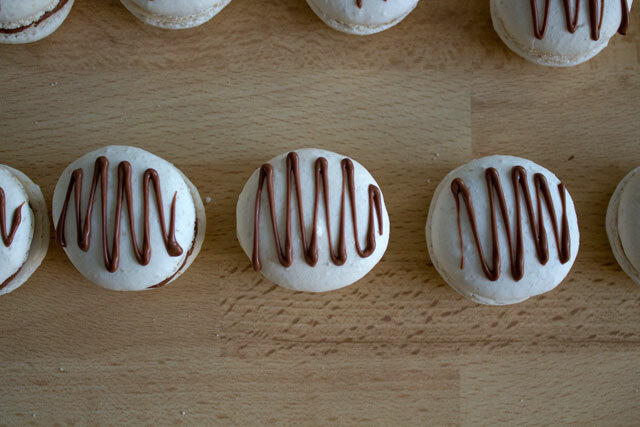 I loved making these macarons because 1) they are delicious and 2) they also feature a nice decoration. 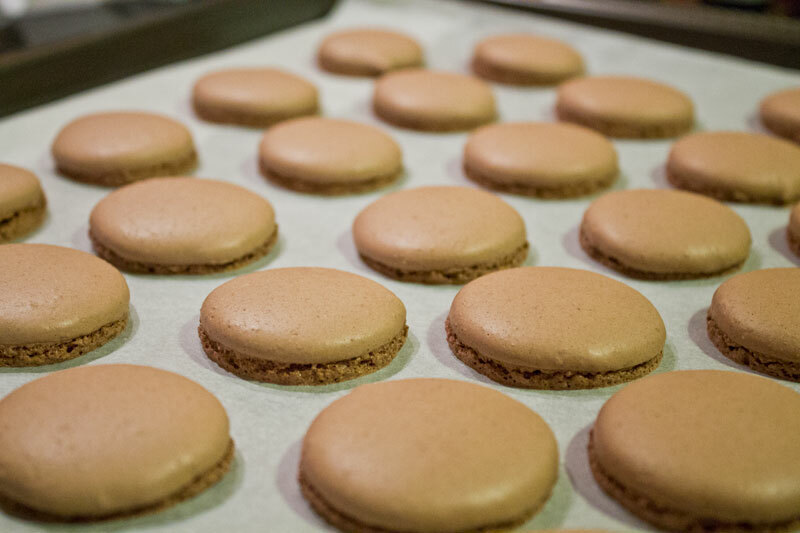 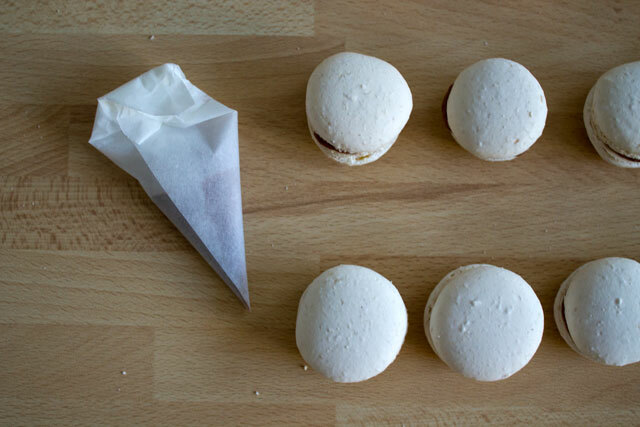 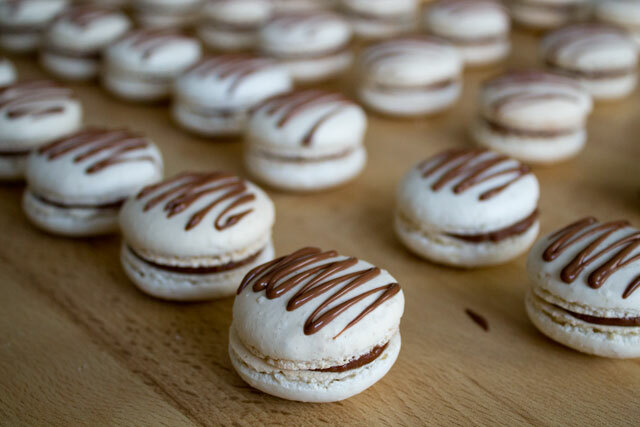 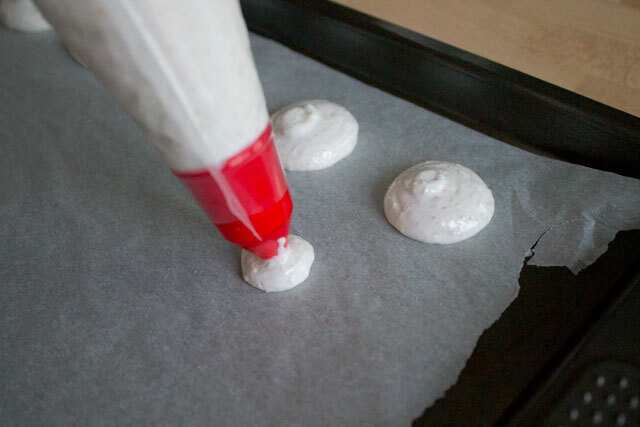 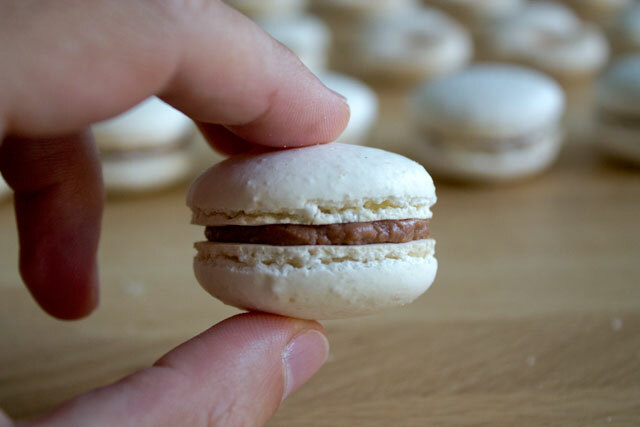 PS: although the step-by-step recipe on this page should be enough, you can check my introductory post on French macarons, in case you’ve never made them. 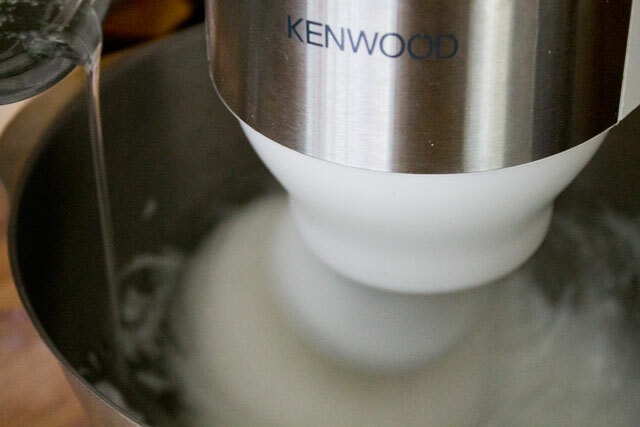 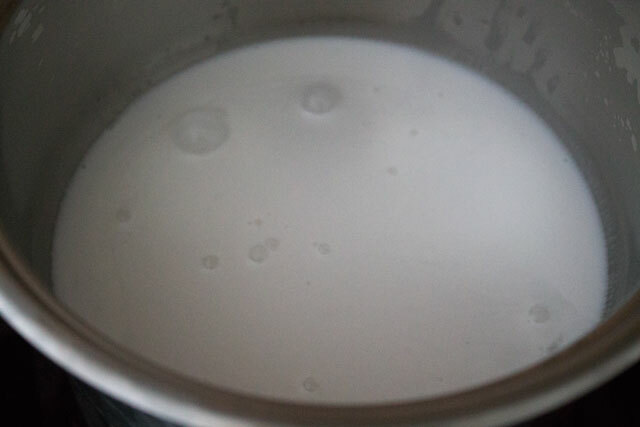 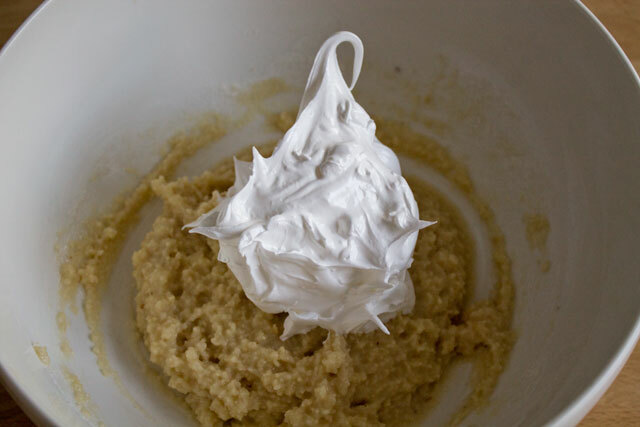 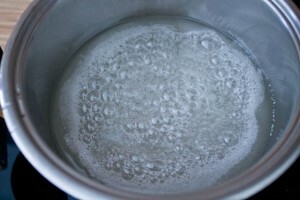 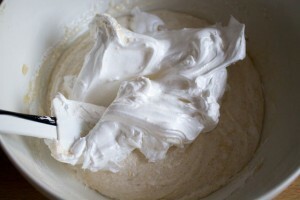 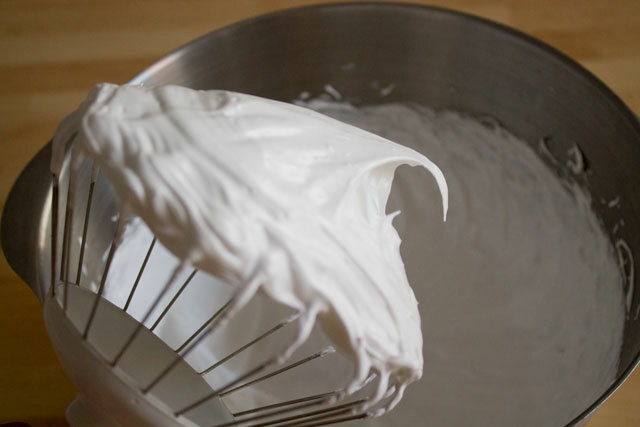 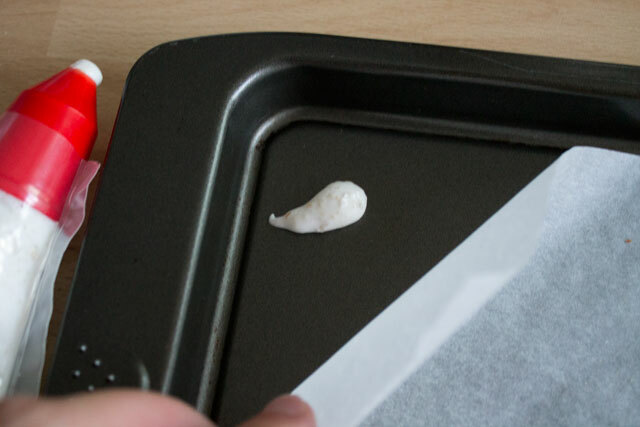 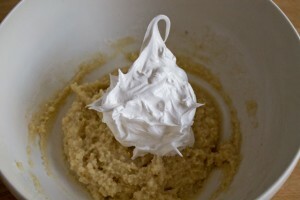 When the sugar syrup reaches 108°C, start whipping the egg whites at high speed. Slow the mixer down in case soft peaks form before the syrup is ready. 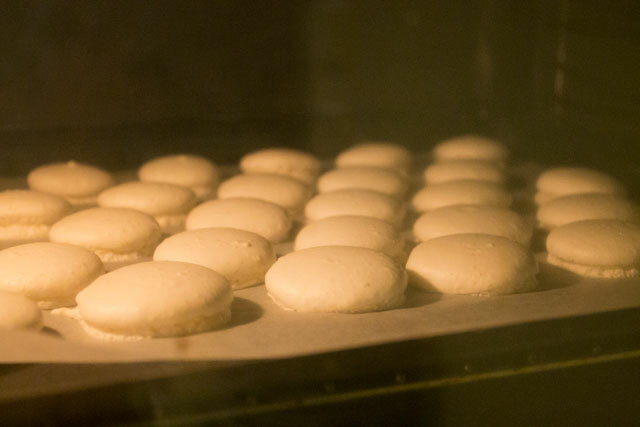 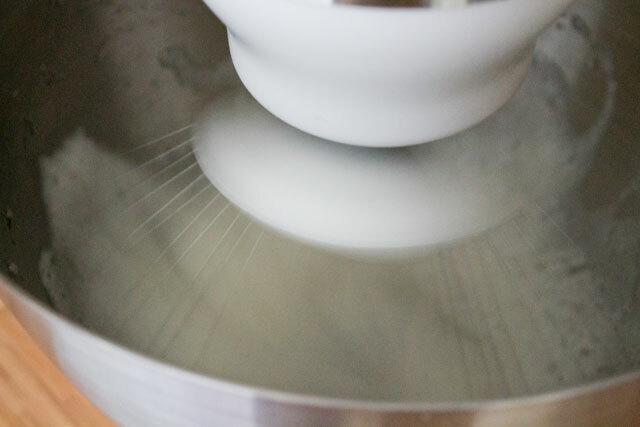 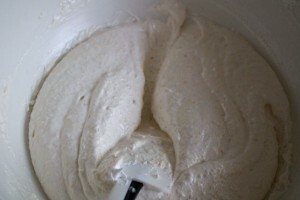 The batter is ready when it becomes shiny and it is not too thick nor too runny (achieving the right consistency is actually the hardest part of making macarons). 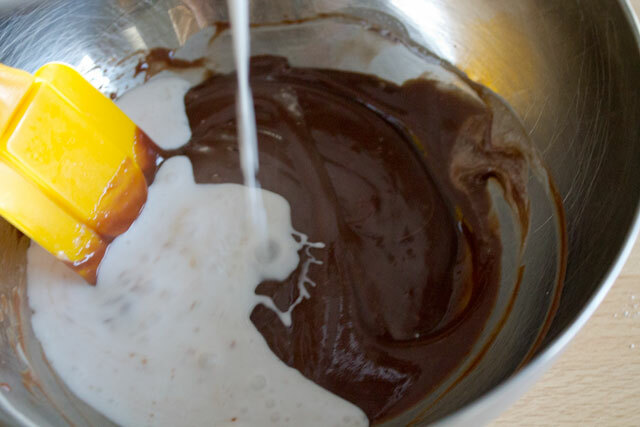 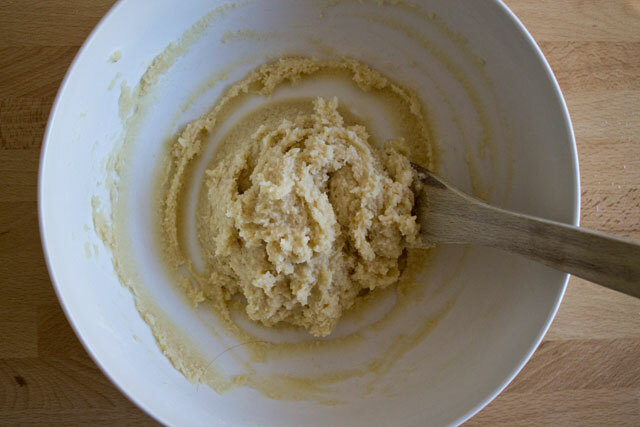 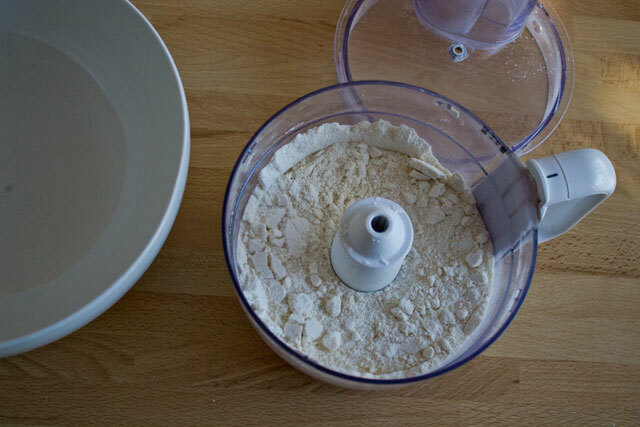 You can check if the batter is ready by passing the spatula vertically in it: if the batter return to its initial position in about 5 seconds, it's ready. Let the piped batter sit at room temperature for 20-40 minutes, then bake in an oven preheated at 150° for 13-16 minutes. 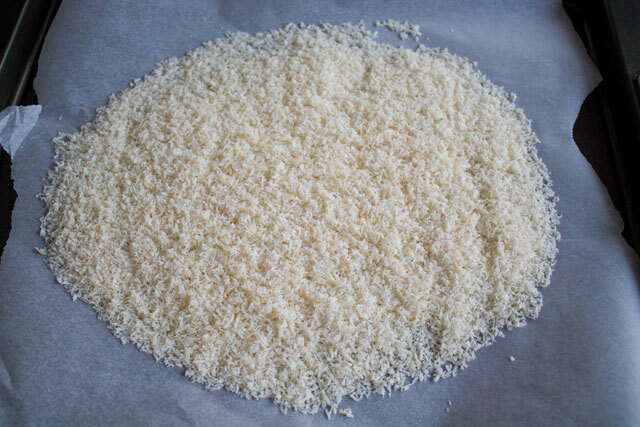 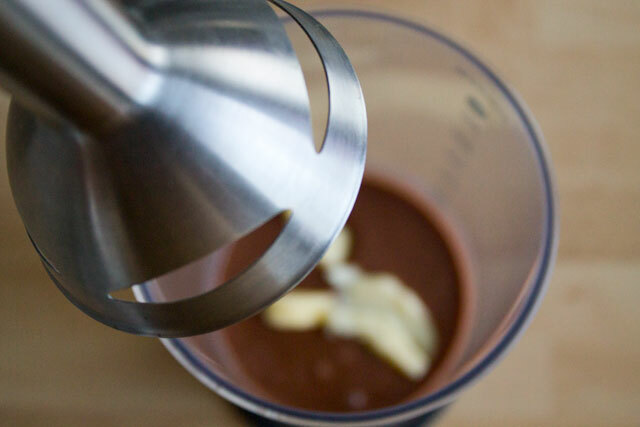 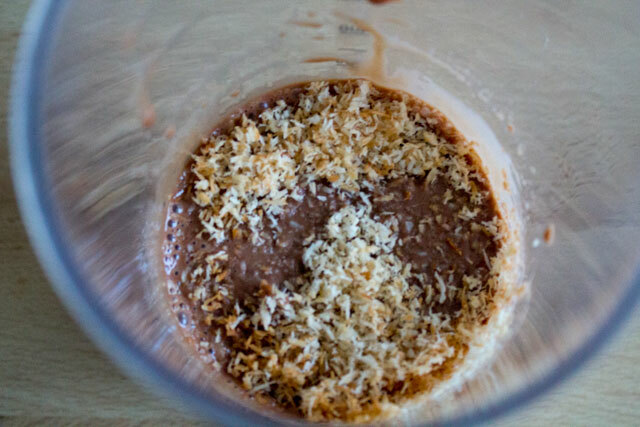 Add 75g of shredded coconut to the ganache and mix again with an immersion blender. Chill overnight in an airtight container. 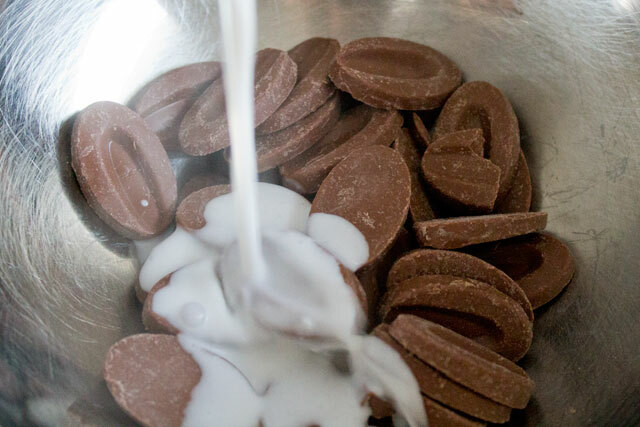 Melt 50g of milk chocolate over a bain marie then use it to fill a parchment paper cone. 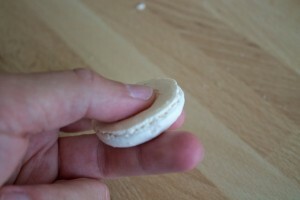 If you’re able to press into the macaron, that means they’re hollow and were not baked correctly at all! Hi, mine are not hollow at all, they are sort of spongy. Therefore, when you press, you are able to make more space for the filling without cracking them. 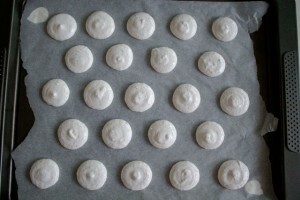 If they are not correctly baked, they are indeed hollow or too dry, and a slight press might crack them. 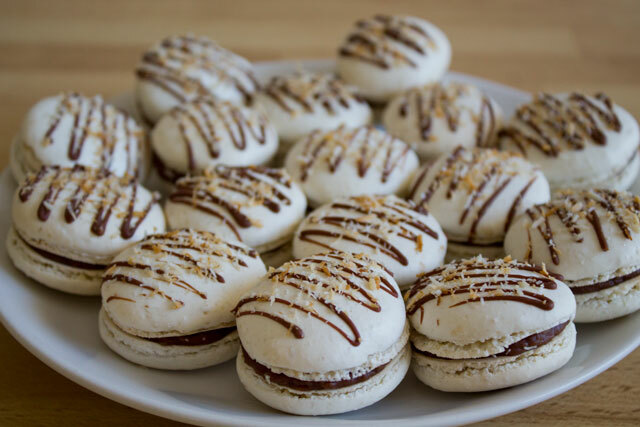 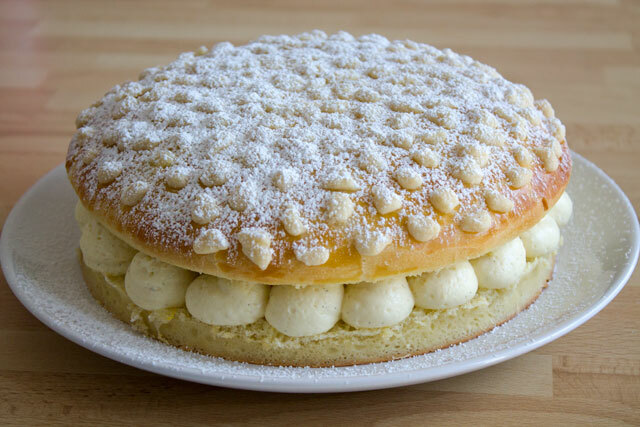 can you tell me what”s the mistake if the macarons don”t have the crust and just sponge like sponge cake ana some of them hollow.